Norway has joined Sweden, Denmark, Switzerland and the Netherlands in funding the Human Rights & International Humanitarian Law Secretariat, allocating to the framework NOK 5 million (over $600,000) in the second half of 2016. The HR/IHL Secretariat is an intermediary that distributes funds to non-governmental organizations (NGOs) active in BDS (boycott, divestment and sanctions) campaigns and other forms of demonization against Israel. It is managed by the Institute of Law at Birzeit University (IoL-BZU) in Ramallah and the NIRAS consulting firm, based in Sweden. According to an internal report, 80% of the HR/IHL Secretariat’s distributions are allocated to core NGO funding. NGO Monitor research shows that out of 24 core recipients, 13 support BDS, receiving $5.78 million (more than half) out of an operating budget of $10.38 million over the course of four years. Some grantees have also promoted antisemitic rhetoric and have apparent links to the PFLP terrorist organization. Core group members receiving funding include BADIL, Al-Haq, Addameer, and MIFTAH, all vehemently anti-Israel NGOs at the forefront of BDS campaigns. Norway’s decision to join the HR/IHL Secretariat on June 1, 2016 contrasts sharply with the criticism and debates in the Swiss and Dutch Parliaments regarding the donor framework. In June, the Dutch government passed a resolution calling for a review of its funding to the Secretariat due to its support of BDS. The Swiss Parliament is due to vote in its Fall session following a motion signed by 41 Members of Parliament questioning its funding to the Secretariat. See NGO Monitor’s website for more detailed information about the Human Rights & International Humanitarian Law Secretariat and its funding recipients. BADIL (core funding in 2015: $260,000), a leader in Palestinian “right of return” and international anti-Zionist boycott campaigns. According to its website, “BADIL has been fully committed to BDS campaigns from its very inception” (emphasis added). Al-Haq (core funding in 2015: $710,000), a leader in anti-Israel demonization campaigns through lawsuits (“lawfare”) at the International Criminal Court, and BDS activities. 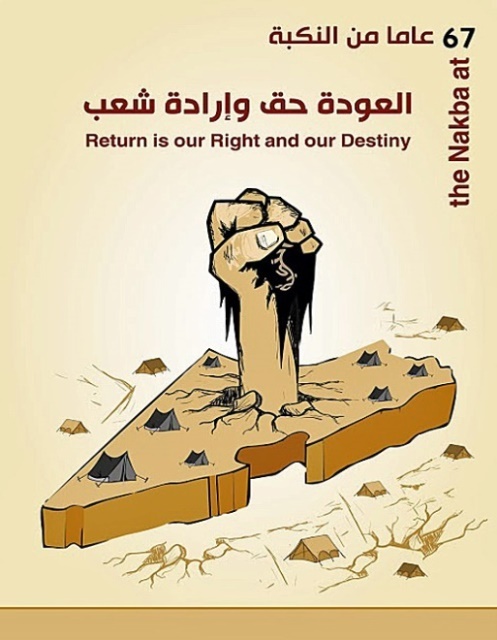 According to the Israeli High Court of Justice, Al Haq director, Shawan Jabarin, is also a senior activist in the Palestinian Popular Front for the Liberation of Palestine (PFLP) terror organization (click to read a translation of the ruling, June 20, 2007). Jabarin has been denied entry into Jordan for this reason. Khalida Jarrar, Addameer’s vice-chairperson, is a senior PFLP official. Jarrar was administratively detained on April 1, 2015 by Israeli security forces. On April 15, 2015 she was indicted for various offenses including active membership in a terrorist organization (the PFLP) and inciting violence through a call to kidnap Israeli soldiers. Yousef Habash, serves as an Addameer board member. 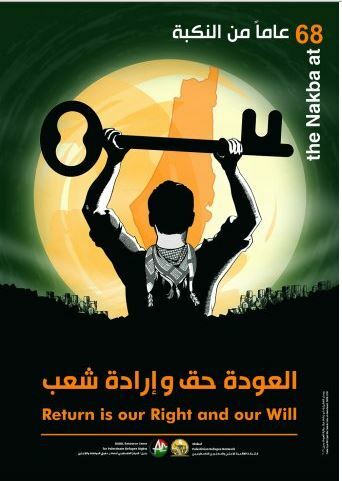 Israel prevented Habash from leaving the West Bank in 2011-2012. He is also a member of the BDS National Committee. Ayman Nasser, an Addameer researcher, was arrested on October 15, 2012 for alleged links to the PFLP. 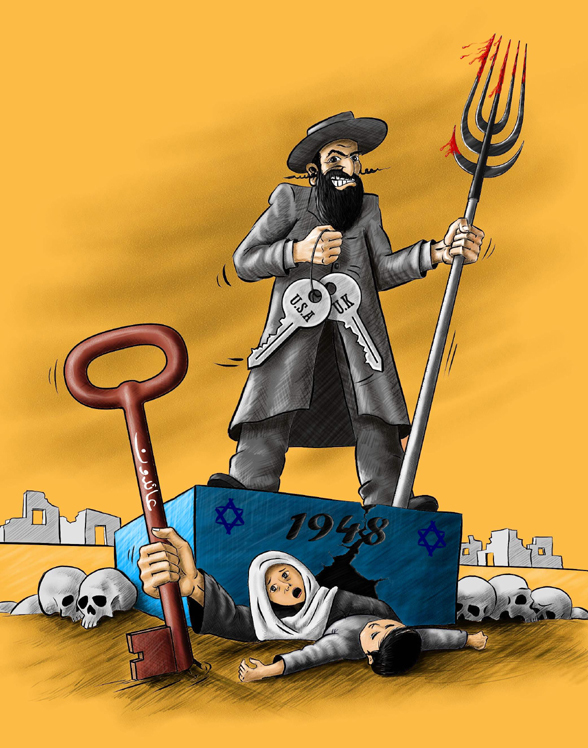 On June 3, 2013 the Judea Military Court convicted Nasser, who admitted to being a member of the PFLP, for providing services to the organization. 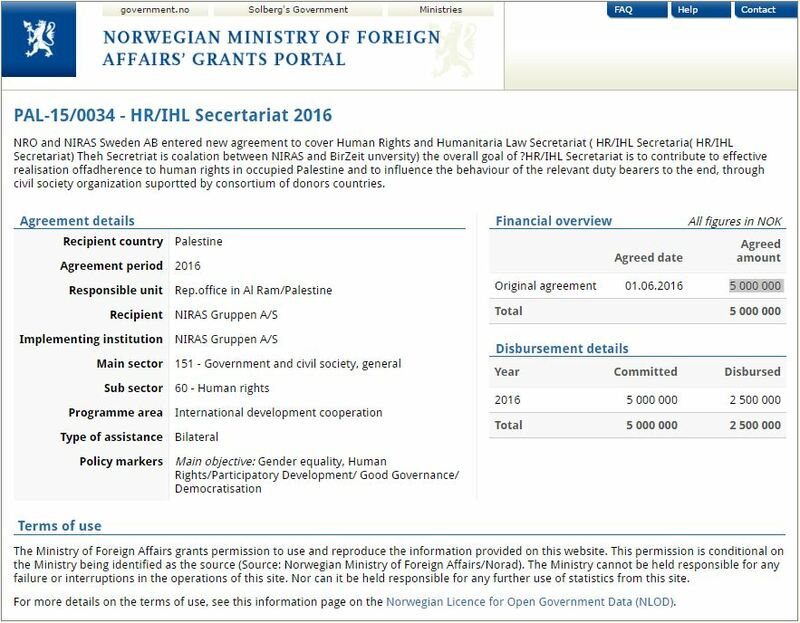 The Norwegian government is a major donor to the IHL Secretariat, which in turn funds NGOs that promote BDS and demonization campaigns against Israel.